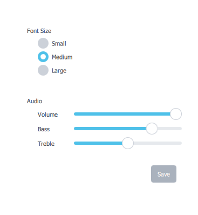 Qt Quick Controls 2 comes with a selection of styles. 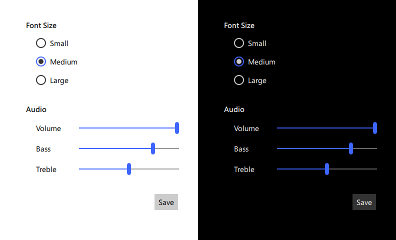 The Default Style is a simple and light-weight all-round style that offers the maximum performance for Qt Quick Controls 2. 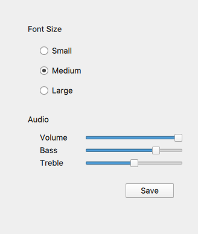 The Fusion Style is a platform-agnostic style that offers a desktop-oriented look'n'feel for Qt Quick Controls 2. The Imagine Style is based on image assets. The style comes with a default set of images which can easily be changed by providing a directory with images using a predefined naming convention. 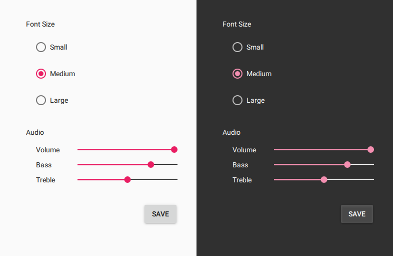 The Material Style offers an appealing design based on the Google Material Design Guidelines, but requires more system resources than the Default style. 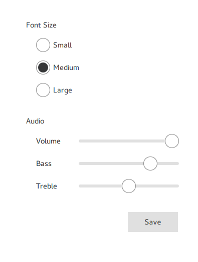 The Universal Style offers an appealing design based on the Microsoft Universal Design Guidelines, but requires more system resources than the Default style. In order to run an application with a specific style, either configure the style using QQuickStyle in C++, pass a command line argument, or set an environment variable. Alternatively, the preferred style and style-specific attributes can be specified in a configuration file. The priority of these approaches follows the order they are listed below, from highest to lowest. That is, using QQuickStyle to set the style will always take priority over using the command line argument, for example. See the detailed description of QQuickStyle for more details. See Supported Environment Variables in Qt Quick Controls 2 for the full list of supported environment variables. Qt Quick Controls 2 support a special configuration file, :/qtquickcontrols2.conf, that is built into an application's resources. The configuration file can specify the preferred style (may be overridden by either of the methods described earlier) and certain style-specific attributes. The following example specifies that the preferred style is the Material style. See Qt Quick Controls 2 Configuration File for more details about the configuration file.